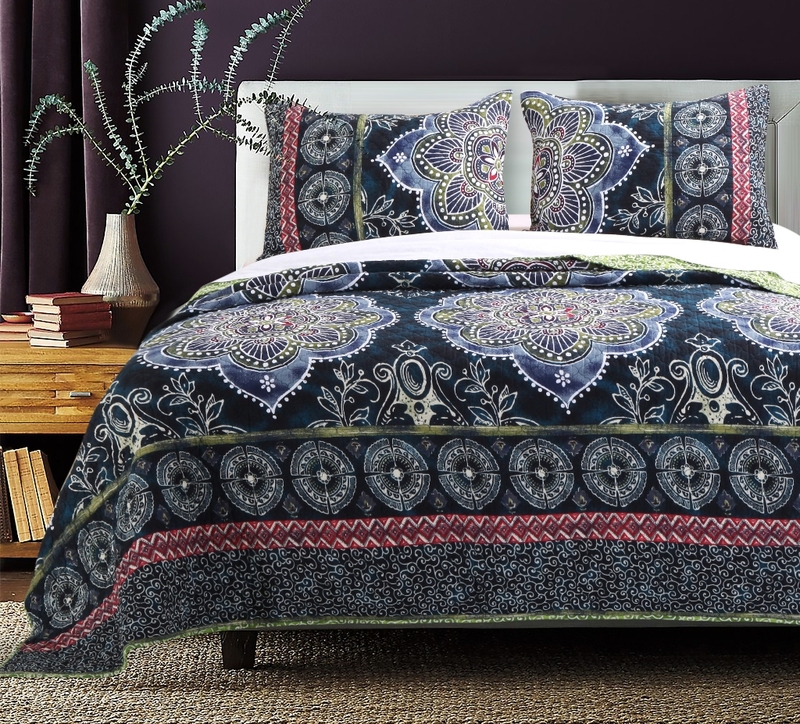 The deep rich colors of the Twyla quilt adds drama to your bedroom space. 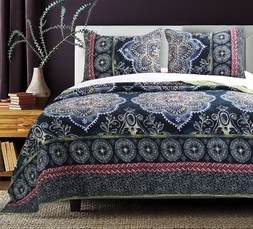 Mystic medallions float among wreathed lyres in a pool of indigo blue. 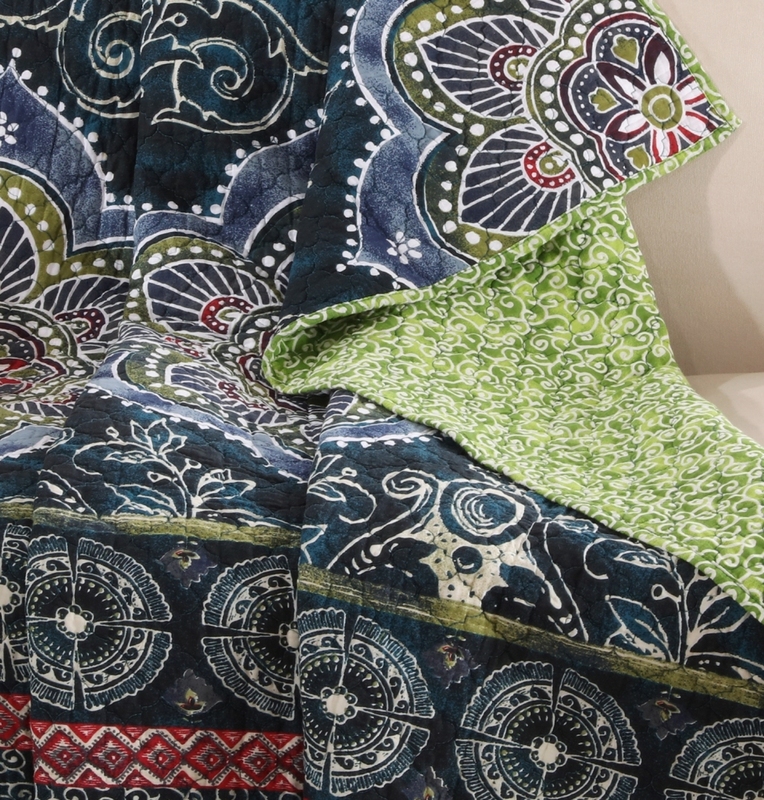 Featuring batik effects, tribal art borders and a billowing filigree reverse in lime green.